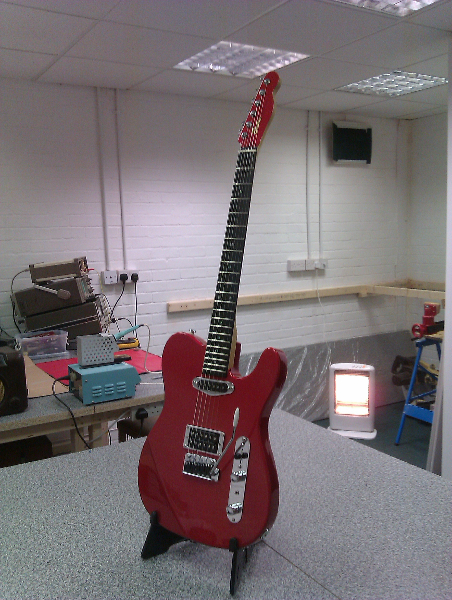 This “T” type guitar was built by Essex Amp Repairs very own Dave Benfleet. The guitar features a customer “T” body with “S” contours, specially wound Bare Knuckles pickups, a Graphtec “Ghost” piezo system, two point fulcrum tremelo, Sperzel locking machine heads, and a custom sparkle finish. Very tasty!